We have special offers available on tickets for Power of Poison. Ever feel like slipping some arsenic into your partner's coffee? The strange and intriguing things that happen when humans take toxic substances are revealed in the Power of Poison, a family-friendly exhibition which explores the mysterious effects of poison. 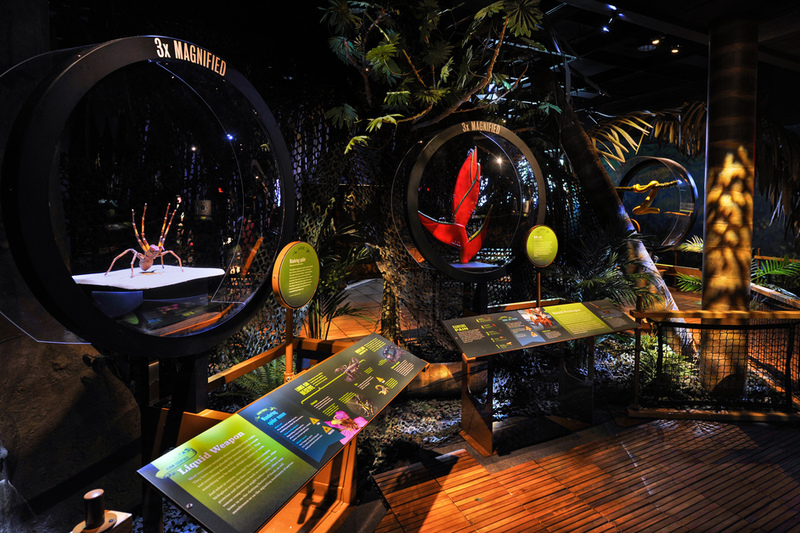 An adaptation of an illuminating exhibition at The American Museum of Natural History, the Truman Brewery show uses interactive components, models, multimedia and live animals to explore the myths, magic and medical breakthroughs in the study of poison. Used throughout history for murder and villainy, in nature as a means of defence, and as a lifesaving medical treatment, the show reveals toxins as a source of mystery, fascinating tales and surprising benefits. What are the best dining options near Power of Poison London? Power of Poison gyms, sporting activities, health & beauty and fitness. The best pubs near London Power of Poison. Power of Poison clubs, bars, cabaret nights, casinos and interesting nightlife. Where to have your meeting, conference, exhibition, private dining or training course near Power of Poison.